Okay, now that you’ve come through the door, we are ready to get down to the floor. They make the room more cozy. They cut down on noise. They add color. Rugs on floors are essential. Rugs on carpet are great, too. At the very least, you should have a rug in your book corner and in your circle area. And while we are on that subject, I think you should have an area for kids to sit on the floor, even if your students are in sixth grade. It doesn’t have to be all cutesy, but chairs can get tiresome, and sitting on the floor is a nice way to break up the day and teach in a more intimate way. For little kids, get a rug with the ABCs, roads (like a map), or colorful pictures. Older kids might enjoy the states or a checkers/chess board (but then you need the pieces to go with it). A colorful welcome mat by your outside door is nice. My first year teaching I was broke, but I did find someone selling brand new carpet sample squares at a yard sale for a quarter each. So I duct-taped a bunch of them together (on the back) in an interesting pattern for our Book Nook. Worked out great! You might not be too keen on making paper mâché dinosaurs if your room is covered in wall-to-wall carpet. Hopefully, you have some floor space for these messy projects, but if you don’t, make one. If you have a lot of cash at your disposal, then you could cover a corner of your classroom in those plastic office mats (the ones people put under wheelie chairs to keep them from damaging the carpet). If you are short on cash (uh, yeah, I’m a teacher, duh! ), then you could buy one of those bright blue tarps and tape it down with brightly colored duct tape. In a pinch, get painting tarps (those really thin plastic ones). Not great, but they are cheap and big. Good for a one time project – get ’em messy, throw ’em out. If you teach little kids, then take a minute to get down on the floor (you probably do this a lot a lot during the school day – try it when your students aren’t around). Look around. This is the view your students have. Make sure it is a good one. Sometimes things that look fine from up above don’t look so great from down below. Next week, we’ll be exploring desks, tables, and chairs, oh my! The Creative Classroom – What to do with Walls The Creative Classroom – Got Your Back The Creative Classroom: Come to the Front The Creative Classroom – Your Class Library The Creative Classroom – Come on in! 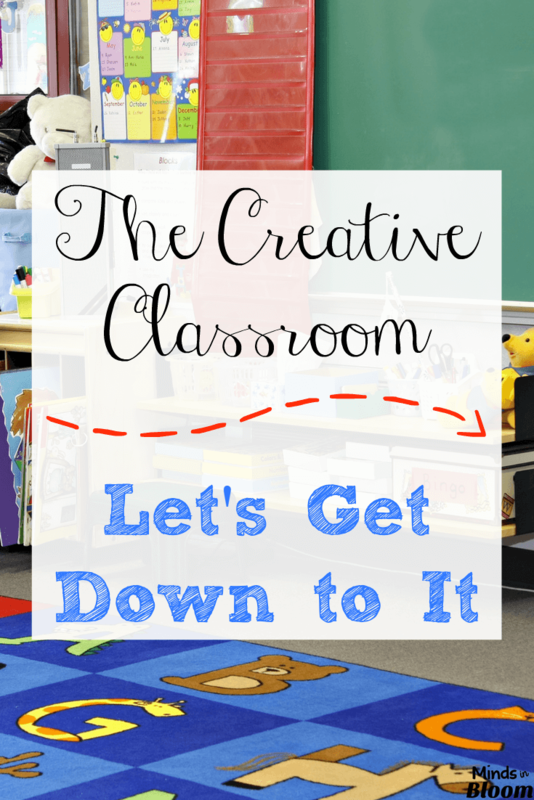 The Creative Classroom – Come on in!